Education plays a very crucial role in one’s life. Home is our first school & parents play the role of first teachers. In our childhood, usually we are being taught about the basic things from our Parents but Schools Education and Teaching from a Professional Teachers is also very important. 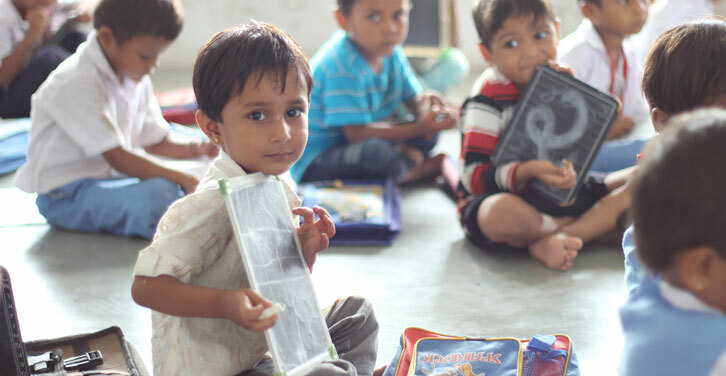 Each and every person in India is given a right to get education so why not the children of slum areas? Are they carrying their destiny from their mother’s inside or they are the only victims of rising poverty in India? Many children from under poverty category engage themselves with their parents for earning money or might be they used to work under some Zamindars of their villages. Because of the early age responsibility they do not get the opportunity to educate even though they have strong desire. In some cases they are not even aware about the importance of education nor they are being told to study & achieve something because of the lack of money. They are in a race of trend being followed in the village from the hierarchy. In this phase the sufferers are those children who are bound to work at the age of 10 when at the same time they should be in some school making their career. In actual case this is our responsibility to make them alert about the education system & its advantages. Many Governmental Programs are implemented so that everyone can get access to proper education system. In earlier days education system was partial & costly. Rich children were allowed to study in any school on the other hand poor ones were forced to send their children in lower grading schools. However currently, whole criteria and theme of education has been changed to a great level. Government has implemented real grading system in which the children will get admission as per their capability & grades. Many government schools are providing scholarships also. Education is the Gift provided by God. It is the most important tool for bright future of individual as well as the country. So indulge yourself in the process of making someone study today because today’s Youth is tomorrow’s Futures. You can aware people by conducting seminars in slum areas demonstrating the importance of a person to study today. Also you can sponsor a child’s education. You can even teach some of the courses directly to the children of slums. Your little step towards them will make them move ahead towards some achievement. So be the change for tomorrow.